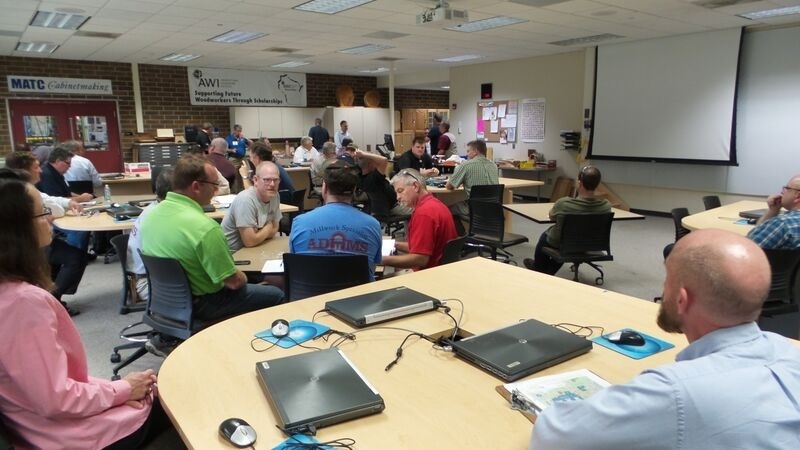 This September, woodworkers and industry professionals from across the continent flocked to Madison, Wisconsin for the biennial Wood Window and Door Symposium, keen to share knowledge, discover new ideas, and discuss the state of the industry. Since sharing knowledge and growing the industry are our top priorities at Rangate, we naturally had it circled in our calendars as an essential event to meet some insightful people from across North America and find out how we can help woodworkers make windows and doors even better than they do today. As we discussed our plans for the week with Patrick Molzahn, our friend and the Director of the Cabinetry and Millwork program at Madison College, we got to thinking- why talk about building windows, when we could demonstrate it? We'd recently consigned the program at Madison with one of our FLEXset window toolsets, perfect for an introduction to building high performance windows. With some of the most experienced and knowledgeable people from around the world like our partners Cristian Zuani and Jaroslav Soukup attending, we had all the people we needed to demonstrate and field questions about all parts of building high performance windows. Now all we needed were guests. Finding people interested in attending was the easy part! With the encouraging growth of our industry over the last several years, more people than ever are building or are exploring starting with wooden windows. 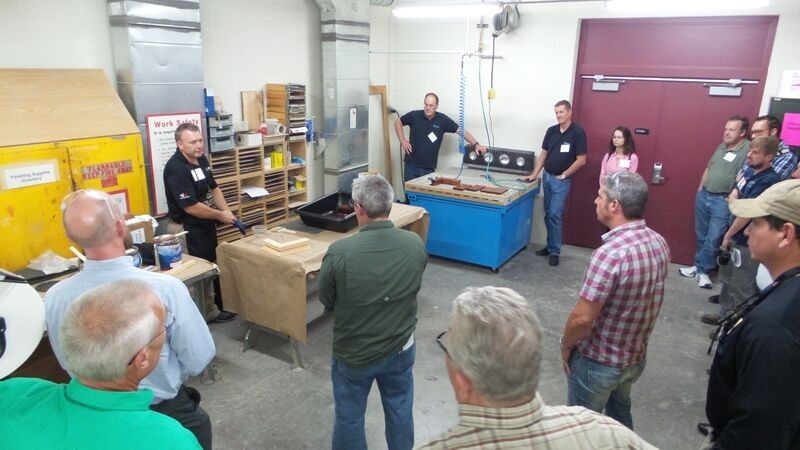 Over 50 woodworkers and industry experts came for a day of shop talk, education, and networking. 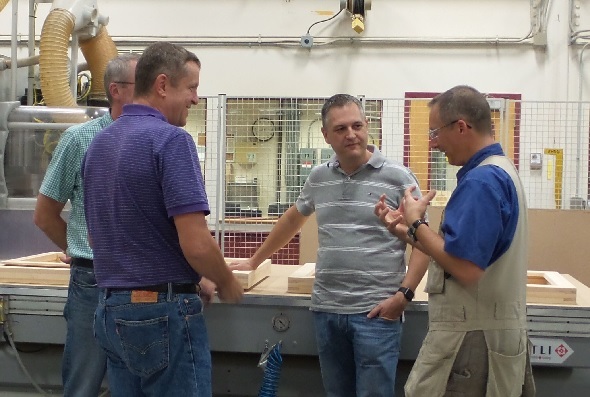 With two experienced woodworking instructors, Patrick Molzahn and Joe Calhoon of Cascade Woodwork and the instructor for Alpine Technical Workshops leading the machining demonstration, our guests were taken through the entire milling and assembly process. Before our demonstration, we got a chance to meet some of the students at Madison College who will be using our tool set to get introduced to window and door joinery. With the industry growing, it's good to know that there are young people preparing for a career in wood joinery, making everything from furniture to cabinets. We were happy to share the art and science of a career crafting high-performance wooden windows. They had questions for us about the design and engineering processes as well, which we were enthusiastic about- the more these students know about not only the shop process but the designs behind them, the more they will understand and appreciate the science and importance of higher performance windows and doors in relationship to comfort and energy conservation. We hope they were inspired by us as much as we were inspired by their enthusiasm. Bob and Mike from Gemini Coatings led a demonstration on finishing and an introduction to water-based finishing in the second part of the day. Since traditional finishing involves harsh chemicals that are harder on our bodies and the planet than they need to be, it was refreshing to know there are options which aren't as tough on ourselves and the environment which are time-tested and easily available. We closed the window manufacturing demonstration with hardware and glazing installation. Patrick joked there would be a test as everyone was getting ready for a brought-in meal. All of our guests got to know their fellow attendees a little more over some food and drink. Providing a space for everyone to connect is our pleasure and a part of the deal. Since any trip to Wisconsin isn't complete until you sample a little of the local brew, many of us made our way to a local pub to enjoy the evening and continue some of the conversations. We thank Patrick, Madison College, Gemini Coatings, Zuani, Soukup America and everyone attended for a great day. We look forward to a next demo based on great feedback we’ve gotten. Stay in touch!